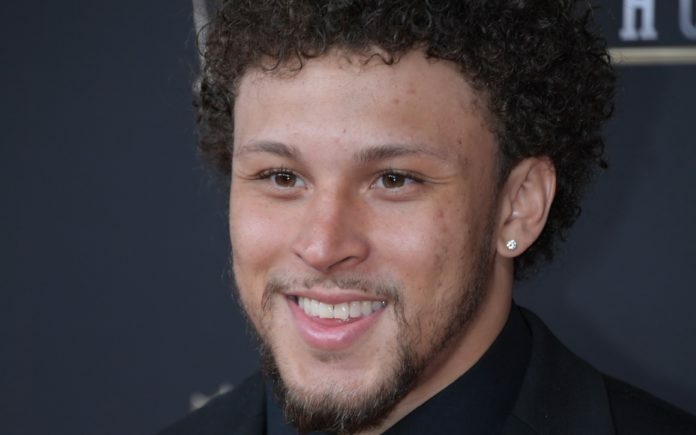 Phillip Lindsay at NFL Honors. Credit: Kirby Lee, USA TODAY Sports. Once a Colorado native, always a native. Phillip Lindsay is making all Coloradans proud. He’s deciding to take a GoFundMe, which was set up to raise money to help him get to the Pro Bowl, and donate the money to an Aurora veteran Les Thomas. Thomas, who used to call basketball games as the PA announcer at George Washington High School and other Denver Public Schools, is now in dire need of a kidney transplant. Thomas has recently been diagnosed with sate five renal kidney disease (per his own GoFundMe page) and has been in and out of the VA hospital as of late. In fact, according to Denver’s Channel 7, Thomas says because he spent time in the hospital and has been unable to pay his rent, his landlord is evicting him. That eviction comes today, Feb. 8. Since starting the fundraising campaign on the popular site, Thomas has raised just over $19,000 of his $25,000 goal in less than five weeks. Now, Lindsay is going to donate the $4,835 (the goal is $5,000 and still needs to be reached) to Thomas and his efforts in paying for the expensive surgery to go on dialysis. Lindsay, who was the first-ever undrafted rookie running back to be selected to the Pro Bowl, was unable to play due to a wrist injury. The NFL wasn’t originally going to pay for his travel or hotel, which is what the GoFundMe was set up for, and then the league did pick up his tab. So, now, Lindsay looks to donate that generous campaign to Thomas, which will nearly get him to his original $25,000 goal. What can you do? Donate to either Lindsay’s or Thomas’ GoFundMe pages using the links above, and help a local veteran in need.